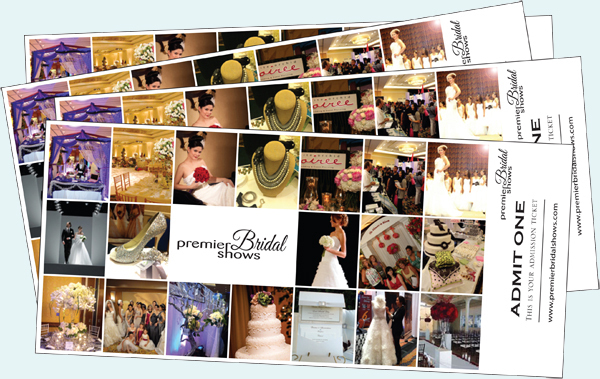 Thank you for registering for the upcoming Premier Bridal Show! If you would like to purchase tickets online please follow the link below! 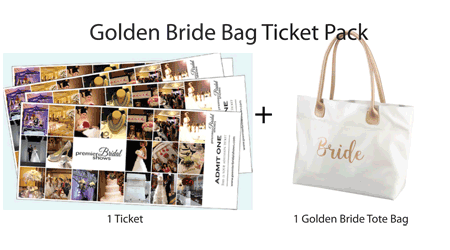 ​Check out our discounted Bride Ticket Bundles! 1 Admission to the Premier Bridal Show at the chosen location. 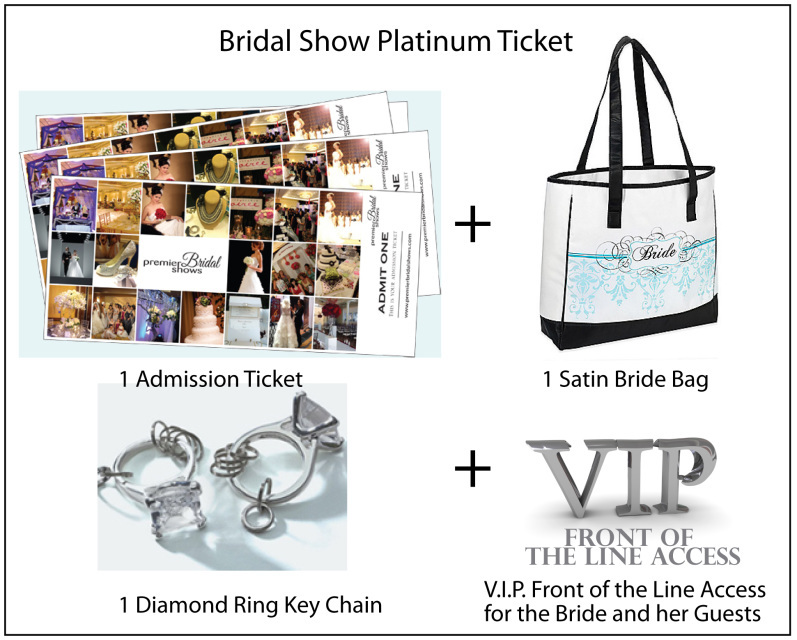 One satin bride bag, 1 diamond ring key chain and VIP front of the line access for the bride and her guests. 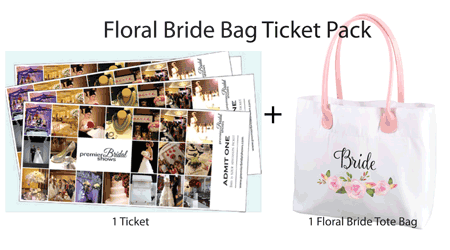 (Bride's guests still need a standard ticket for admission but are able to get front of the line access with the 1 VIP ticket) Bride Bag and Key chain must be picked up the day of the event for which the ticket is purchased. Shipping is not available with this option. 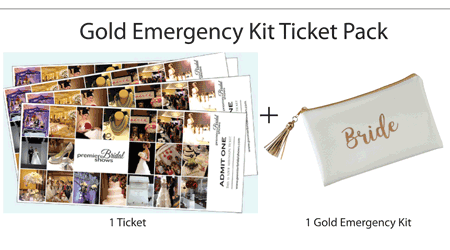 Once your transaction is complete, your ticket, bride bag and diamond ring key chain will be waiting for you at registration under your last name. You can print your receipt or show your receipt on your phone. 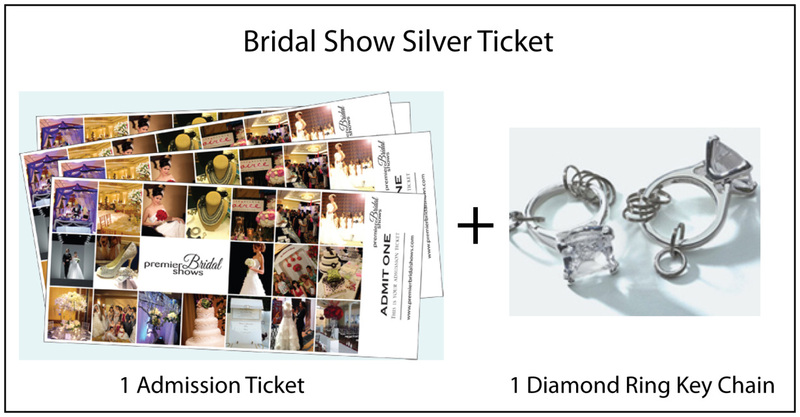 1 Admission to the Premier Bridal Show at the chosen location and 1 diamond ring key chain. Key chain must be picked up the day of the event for which the ticket is purchased. Shipping is not available for this product option. Once your transaction is complete, your ticket and diamond ring key chain will be waiting for you at registration under your last name. You can print your receipt or show your receipt on your phone. 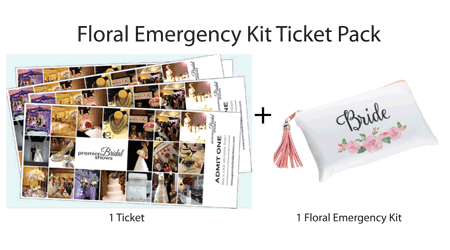 This Ticket Pack includes 1 standard ticket and 1 Floral Bride Tote Bag. White tote with watercolor floral decor and black lettering. Dimensions - 16.5" by 10.75". Sturdy construction -great for keeping wedding planners, magazines and more. 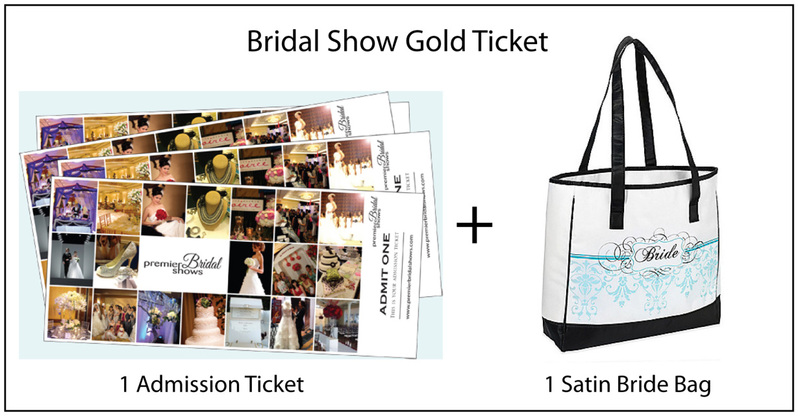 This item is available for pick up at the Premier Bridal Show of your choice.